Plant selection and garden style are deeply influenced by where we are gardening. To successfully grow a range of beautiful ornamental plants, every gardener has to know the specifics of the region’s climate, soil, and geography. 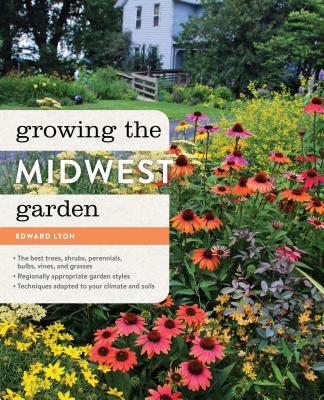 Growing the Midwest Garden, by Edward Lyon, the director of Wisconsin’s Allen Centennial Gardens, offers an enthusiastic and comprehensive approach to ornamental gardening in the heartland. This guide features in-depth chapters on climate, soil, pests, and maintenance, along with plant profiles of the best perennials, annuals, trees, shrubs, and bulbs. Edward Lyon is the director of Iowa State University’s Reiman Gardens. He has worked for Chicago Botanic Garden, Olbrich Botanical Gardens, and Rotary Botanical Gardens. Through Spellbound Garden Writing & Consultation, he writes and speaks nationally for public and professional audiences. Ed writes the Ask the Expert column and feature articles for Wisconsin Gardening magazine, and a regular regional report and feature articles for Chicagoland Gardening. He teaches and lectures and is a frequent keynote speaker.